Asthma is the most common chronic respiratory disease, affecting up to 10% of adults and 30% of children (JACI, 2011). 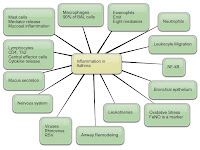 Inflammation in asthma (mind map). Children who are referred to specialist care with asthma that does not respond to treatment (problematic severe asthma) are a heterogeneous group. Differential diagnosis of cough, a simple mnemonic is GREAT BAD CAT TOM. Click here to enlarge the image: (GERD (reflux), Laryngopharyngeal Reflux (LPR), Rhinitis (both allergic and non-allergic) with post-nasal drip (upper airway cough syndrome), Embolism, e.g. PE in adults, Asthma, TB (tuberculosis), Bronchitis, pneumonia, pertussis, Aspiration, e.g foreign body in children, Drugs, e.g. ACE inhibitor, CF in children, Cardiogenic, e.g. mitral stenosis in adults, Achalasia in adults, Thyroid enlargement, e.g. goiter, "Thoughts" (psychogenic), Other causes, Malignancy, e.g. lung cancer in adults). Wheezing in Children - Phenotypes (click to enlarge the image). Childhood asthma phenotypes (click to enlarge the image). Modified Asthma Predictive Index (mAPI) (click to enlarge the image). Asthma classification and treatment for each stage. Immunomodulators for allergic disorders, basic mind map. Immunomodulators for allergic disorders, complete mind map. Cytokine targets for immunomodulators for allergic disorders. Immunomodulators for allergic respiratory disorders. Casale TB, Stokes JR. J Allergy Clin Immunol. 2008 Feb;121(2):288-96; quiz 297-8. Asthma Inhalers (click to enlarge the image). Relative binding affinity for glucocorticoid receptor (GR): mometasone > fluticasone > budesonide > triamcinolone. Relative anti-inflammatory potency: mometasone = fluticasone > budesonide = beclomethasone > triamcinolone. Asthma - Treatment Options (click to enlarge the image). Diagnostic algorithm for the approach to children with chronic cough. ER, 2011. A simplified, stepwise algorithm for the treatment of asthma. 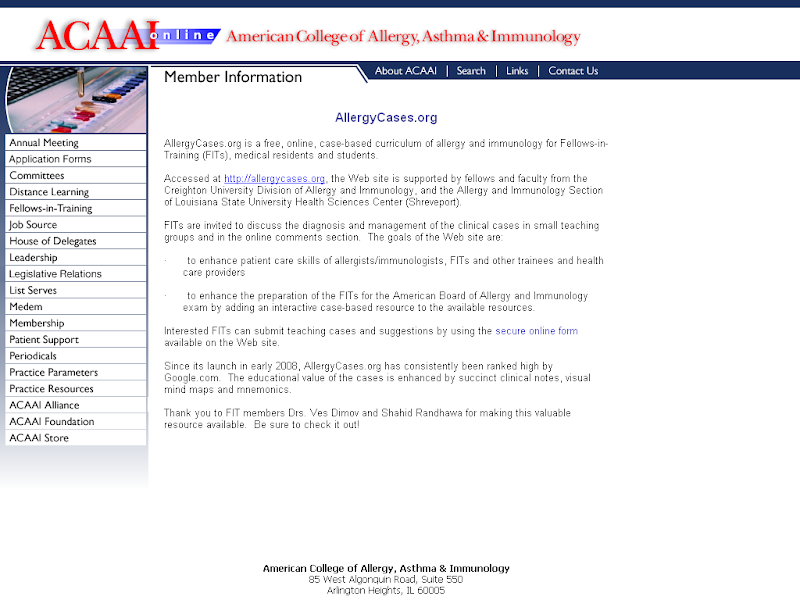 Allergy, Asthma & Clinical Immunology 2011 7(Suppl 1):S2. The vicious circle of asthma drugs. As an asthmatic I got trapped in a vicious circle; bit like a person being trapped in the use of sleeping pills. However an addiction to sleeping pills is relatively easily overcome by force of will. This may apply for asthma medication addiction as well, except that for medical opinion will have it that the disease is incurable. This not true. vigorous nose inhales pressing the lips together releive asthma by a lips-lung reflex. Google for (npf perioral) or try pressing a lip with a finger.